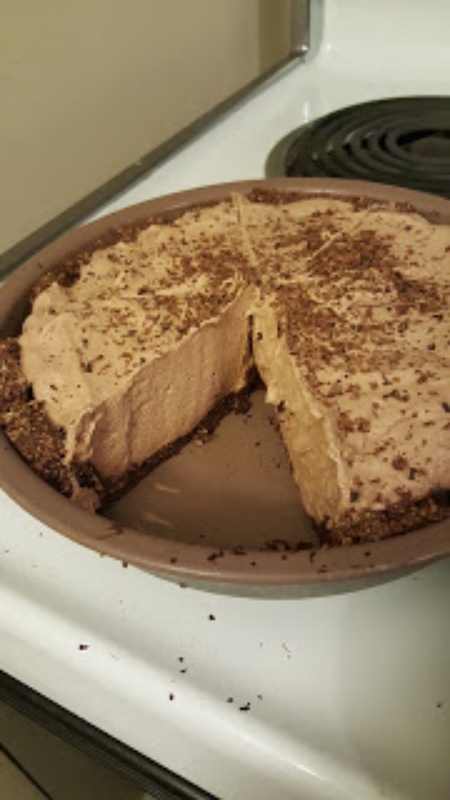 7 Carb Chocolate Pie By Kate Hodge from CJ Eats Keto - This particular pie is an incredibly rich dessert. The crust has a wonderful dark chocolate flavor, remarkably reminiscent of brownie. The filling is light and creamy, very much like chocolate mousse.